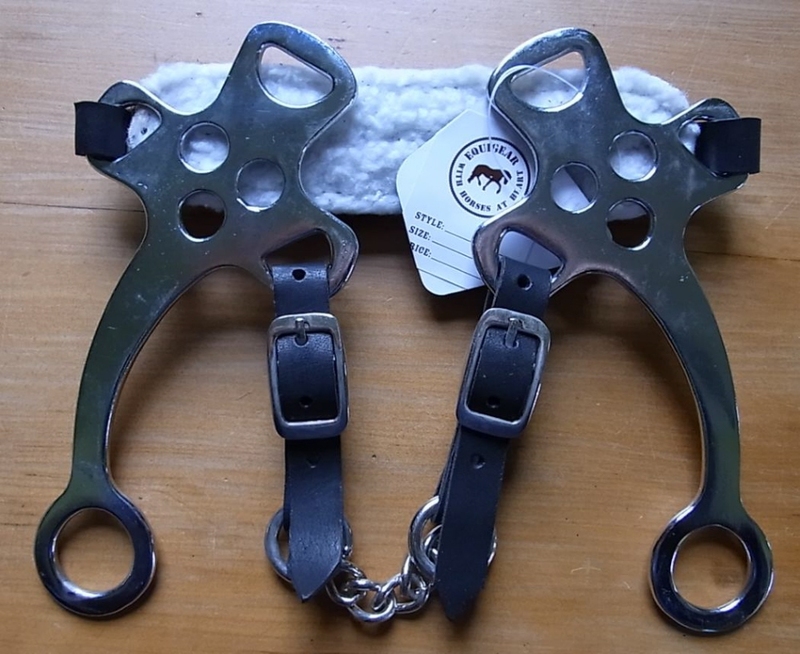 There are three main types of Hackamore: the bosal, the sidepull, mechanical and other assorted designs, often classed as "bitless bridles" . Hackamores work on pressure points around the horses face, nose and chin. Hackamores are best used by riders with experience, light hands, and on a correctly trained horse. The word "hackamore" is derived from the Spanish word jáquima, meaning headstall or halter, itself derived from Old Spanish xaquima. 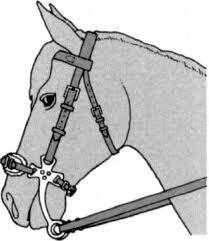 The Spanish had obtained the term from the Arabic šakīma, (bit), from šakama (to bridle). From the Americanized pronunciation of jaquima, the spelling "hackamore" entered the written English language by 1850, not long after the Mexican-American War. This black leather hackamore is easily attached to your existing bridle to make it bitless.